Zhuming Bi received his Ph.D. degree in Design for Manufacturing from University of Saskatchewan of Canada in 2002, his Ph.D. and M.S. degrees in Mechatronic Control and Automation from Harbin Institute of Technology in 1994 and 1991, respectively, and his B.S. degree from Harbin University of Science and Technology in 1987. He has been a licensed engineer since 2005 at the Ontario province of Canada. Zhuming Bi is currently an Assistant Professor at the Department of Engineering at Indiana University Purdue University Fort Wayne (IPFW). Before he joined IPFW in 2009, he had worked as a Senior Project Engineer at Northern Ireland Technology Centre, the Queen’s University Belfast for one year, a Research Scientist at the National Research Council Canada for five years, and a NSERC Postdoctoral Fellow at the Simon Fraser University for one year. 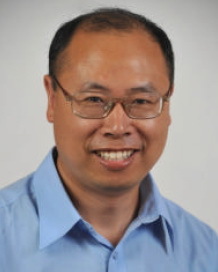 Before he moved to Canada, Zhuming Bi was an Associate Professor at Department of Manufacturing Engineering at the Nanjing University of Science and Technology. Zhuming Bi has published over 90 technical articles on manufacturing processes, parallel kinematic machines, reconfigurable and modular robots, planning and scheduling, and software development and testing. His current interests include mechatronics, rehabilitation robots, reconfigurable manufacturing and assembling systems.